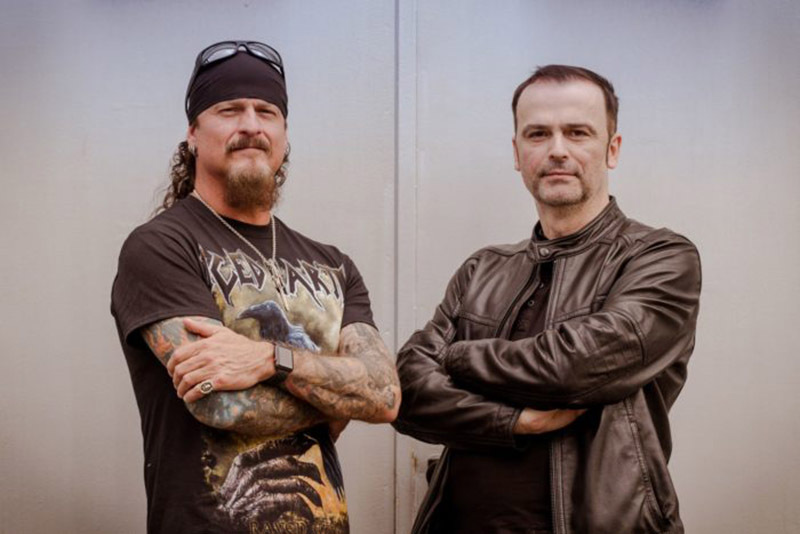 Legendary metal band DEMONS & WIZARDS, the side project of ICED EARTH mainman Jon Schaffer and BLIND GUARDIAN singer Hansi Kürsch, will embark on the “A Magical Encounter With Demons & Wizards” North American headline tour in the summer. The band will hit the road starting August 17 in Los Angeles and will wrap up the trek with a sold-out show on September 7 in Atlanta. 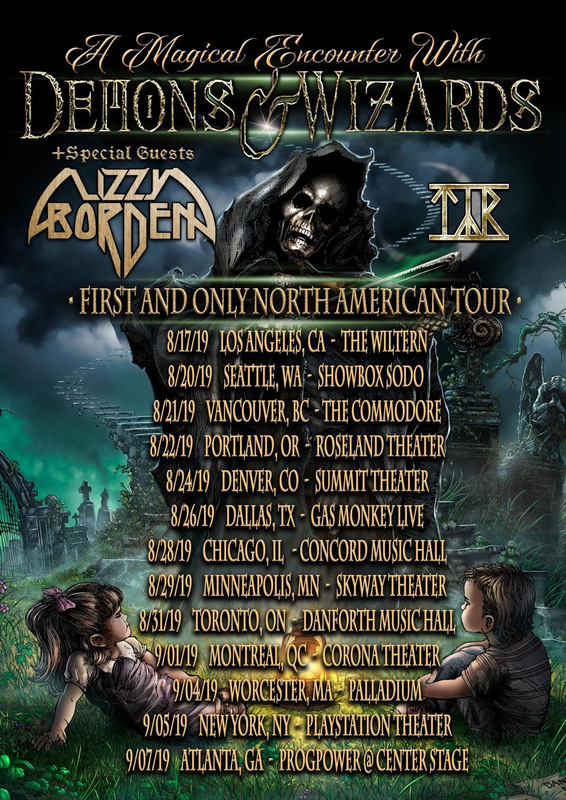 The band will be joined by special guests LIZZY BORDEN and TÝR and will be playing major markets like New York City, Los Angeles, Chicago, Atlanta, and more. Founded in 1999, DEMONS & WIZARDS released two highly acclaimed albums — Demons & Wizards (1999) and Touched By The Crimson King (2005). 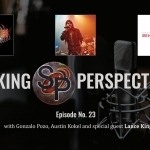 The band recently announced its worldwide signing to Century Media Records and is gearing up to release its highly anticipated third studio album, which is scheduled for early 2020. Before then, Century Media Records will release the band’s first two albums as expanded deluxe editions. Remastered by Chris “Zeuss” Harris (ICED EARTH, QUEENSRŸCHE, SANCTUARY), both releases will be out on June 7, and will feature liner notes by Kürsch and Schaffer as well as bonus material and will be released as a limited edition digipak, deluxe 2LP with etching and LP booklet as well as digital deluxe editions.